Breaking news! Sara Donchey is coming to you live from KCBS Los Angeles to bring you the latest stories from across the country. 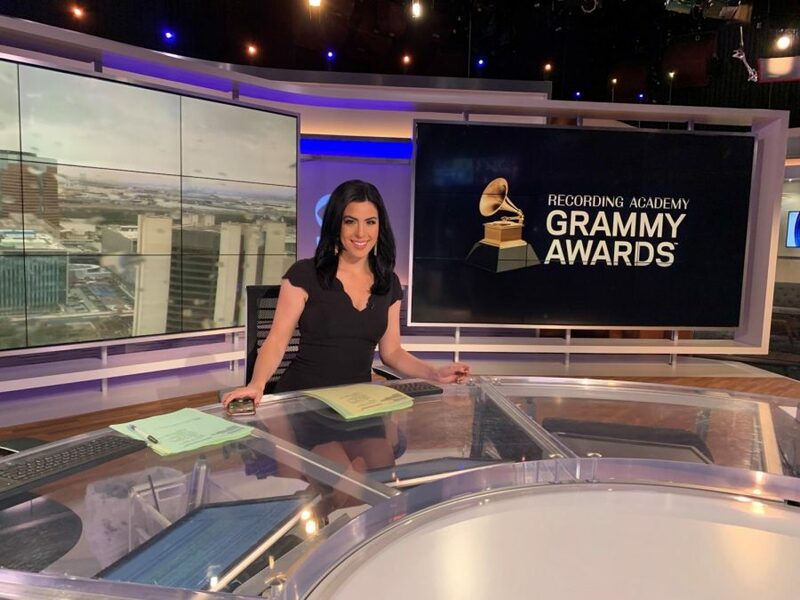 The Diamond Bar High School class of 2007 alumna has taken her love of journalism to television as a reporter and anchor. Donchey can be seen reporting stories such as the recent announcement that “Jeopardy” host Alex Trebek has been diagnosed with pancreatic cancer. While Donchey has only been working at KCBS for around a month, she previously served as an anchor for KPRC in Houston for three years starting in 2015. She was first introduced to the idea of becoming a news anchor when she worked as a production assistant for KPIX in San Francisco right after she graduated from college. Donchey’s responsibilities differ from reporting in the field to anchoring at the studio. She starts her work day at 3 p.m. and often doesn’t end until around midnight. Donchey serves as the weekend anchor for the 5 to 6 p.m. KCBS news. Donchey did not always plan on becoming an anchor but she had always shown an interest for writing, which she developed during her time at DBHS. Through her positive experience at DBHS and interest in journalism, Donchey went on to study print and online journalism at San Francisco State University. Shortly after graduating, she met a reporter who worked in broadcasting and encouraged her to go into the field. Soon after this chance encounter, Donchey was hired as a production assistant. This experience helped her to learn more about the industry and get a feel for whether or not she wanted to advance in this career. In 2013, she landed a job as a reporter and news anchor for KRIS and KZVT in Corpus Christi, Texas. Donchey’s interest in meeting people and forming connections with them also motivated her to take on the career. She did not want a typical job with a monotonous daily routine. As an anchor and reporter, she could experience something different everyday. “I really took interest in meeting all kinds of people from all kinds of places and listening to the stories that they have to tell. You get to experience life through somebody else’s eyes and I find that to be really interesting,” Donchey said. Among her many responsibilities as an anchor, Donchey is proudest of her role in covering disasters and crises. When disasters strike, people often turn to the news for vital information updates. “When I covered Hurricane Harvey in Houston, I think that experience was extremely humbling because people really needed that information to survive, and we were able to help them with that,” Donchey said. As a Brahma who has achieved success in her career, Donchey has several pieces of advice to pass down to current high school students. “Approach school not only looking to get a good grade but to actually absorb and take everything in. All of the stuff that you learn when you’re younger, you will use as a platform for when you go to college and eventually in your career and life,” Donchey said.